DataDear just released a new update packed with new functionality, improvements and resolved issues. Let’s have a look at some of the most important changes and a sneak peek of what’s in plan for the future. A super smart Profit & Loss multiple period report with slicers. Refresh the pivot table with data from Xero to enable the slicers such as tracking categories – suitable for single organisations and for consolidation of a group of companies. All of these reports are immediately available in BETA to all DataDear users. If you have a table / report and you just need to refresh without changing any conditions, use the the Quick refresh. Less clicks and less waiting time! Posting bulk data via DataDear now accepts 4 decimal places for Invoices, Credit Notes and Bank Transactions. QBO – New reports – more DataDear reports will be developed in July so QBO you will enjoy the benefits of the multiple period reports which are currently only available for Xero. 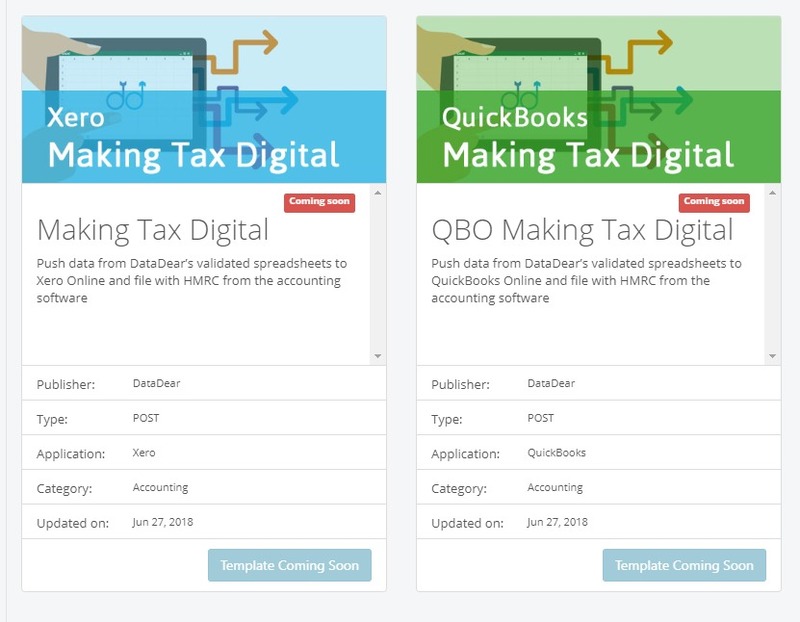 Making tax digital – As a bridging software, DataDear will be fine-tuning it’s offering for the MTD with the aim of allowing the Excel spreadsheet and the cloud accounting software to work in tandem. Once a basic ledger has been created for the organisation, it will be able to push data from DataDear’s validated spreadsheets to Xero or QuickBooks Online and filed with HMRC from there (the validated sheets will be filled in by the business user/accountant). A new template is being developed in collaboration with some accounting partners in the UK. If you wish to be involved in this cycle, please contact the support team.